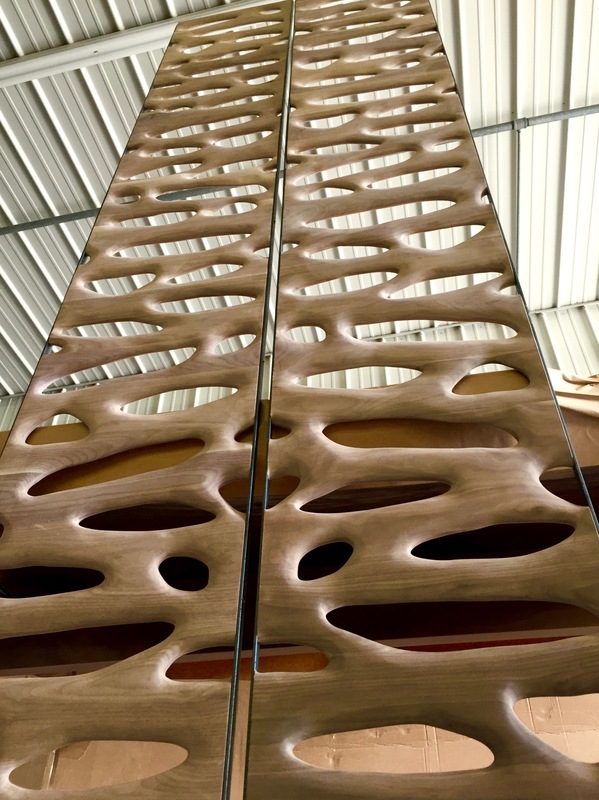 These are a pair of 10ftx2ft walnut panels carved out of two large slabs of joined walnut, then painstakingly grinded and sanded on both sides, each hole for hours and hours...and hours until we got to this result. 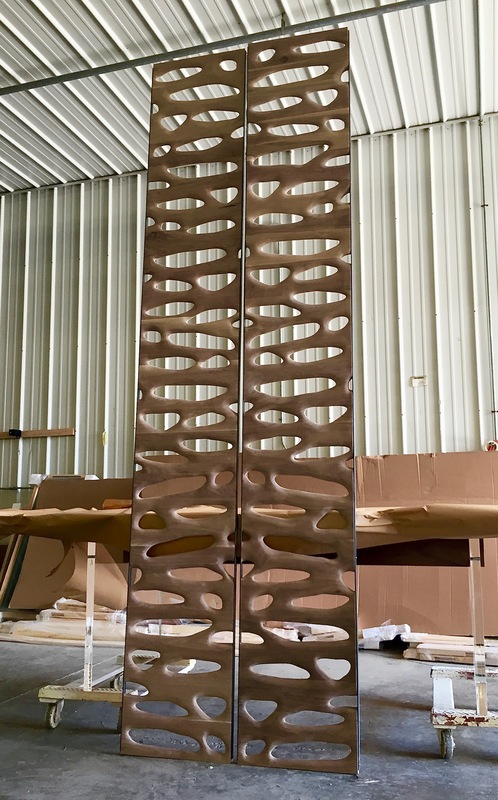 The only downside is we were not able to photograph them with finish on before we shipped them to the client that ordered them because their installer was finishing them on site. The good news is they are orderable in any size and if you don't want to finish them we will do it happily for you. That way we can get a better picture for our web site.